Pip Wilson bhp: What was school like when you was young Grandad ? Conniepops Facetimed us yesterday - great to be in daily visual/audio contact with your grandkids ! She asked about our school days which were different than hers - a school project. She is just turned 6 and more educated than me ! MrsBeautiful - Grandma spoke about how everyone had a lay-down in the afternoon on camp-beds for a sleep. And then she remembered more ……..
We were tuning into our 5/6 year old school days. 1 I spoke how I used to daily conduct the whole school from a podium as we sung the Nation Anthem. 2 How I used to go to school in Clogs. They had steel bars on the bottom and you could kick the pavement and generate sparks. 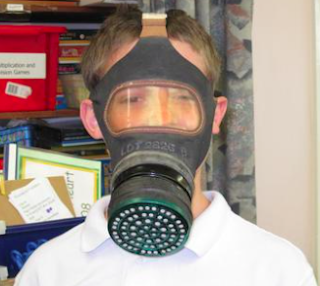 3 I told her how we used to go to school everyday with gas masks in a tin box. 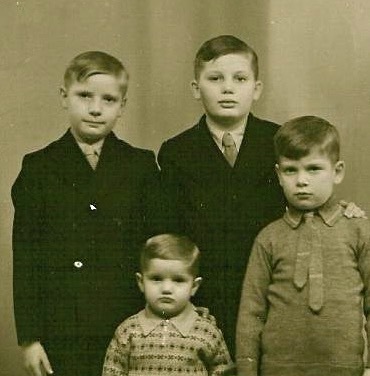 My three older brothers had different ones than me. 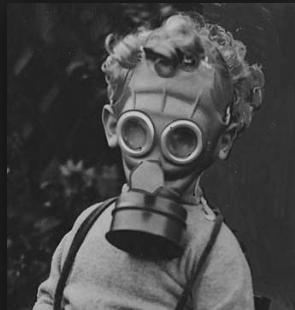 Me, the youngest, had a Micky Mouse gas mask. She could’t understand it ! So we told her about the war and the danger of the Nazi airforce dropping gas bombs - so the whole population has a special mask - never to be worn outside of a daily practice at school. 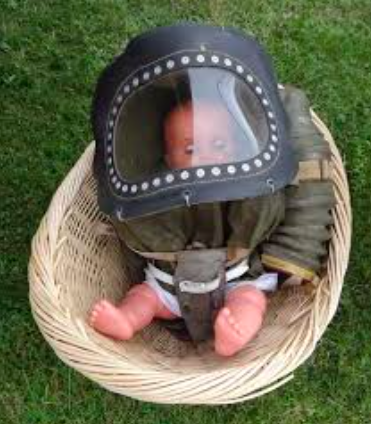 I even remember where we stored them at home. It was in a big bottom drawer in the kitchen. 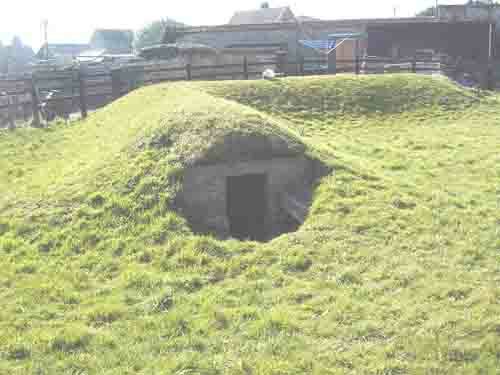 4 We had a Air Raid shelter in our back yard. 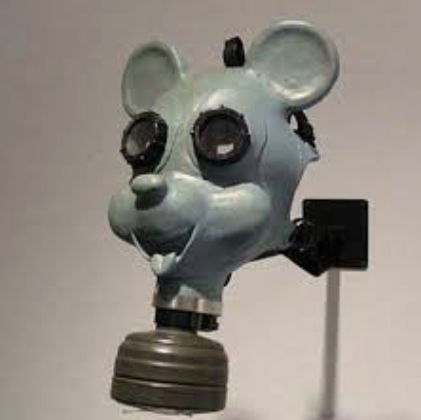 Never used but it was there tp play in and existed long after the war ended. 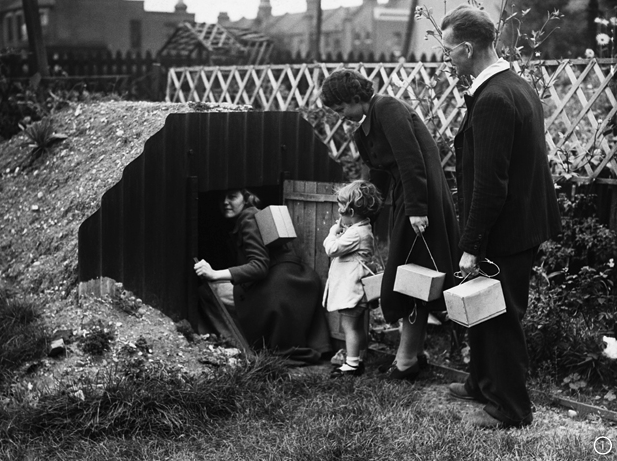 Here you can see a back-yard air raid shelter and the Gas Masks being carried everyone including the child. 5 In the park opposite our terraced street there was a big row of big and long bomb shelters - each would fit about 20 people in to sleep on bunks. They too were play areas for all the local kids after the war. 6 I magically remember distinctly one special day. I walked past the local small shop AND FOR THE FIRST TIME IN MY LIFE there was sweets in the window to buy! I had never ever seen that before. (NO chocolate - but boiled sweets - pear drops etc) The thrill of a little child. I have sent these pictures to Conniepops so she can show them to her class ! It has got me thinking. I was born before the World War 2 started. Before Churchill became Prime Minister. I remember men coming into our street and removing all the iron railings in front of every home. And the nearby park railings and big park gates - all the material need to to melt down to help the war effort.